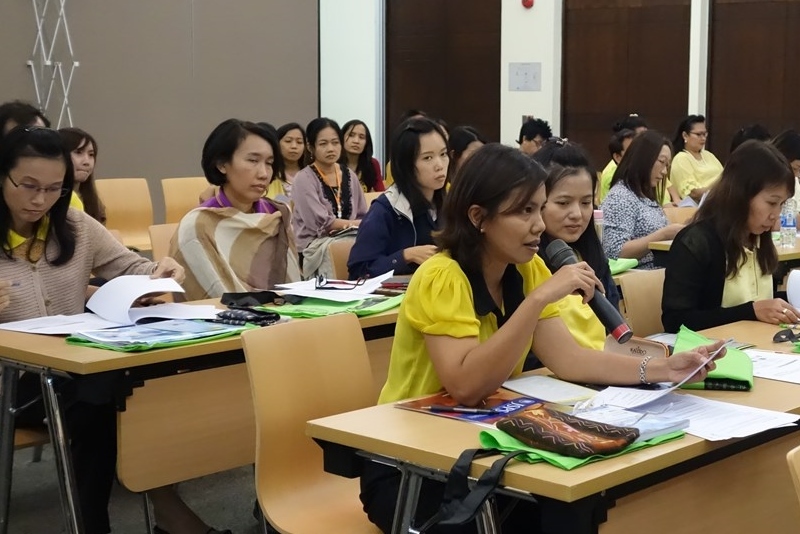 On 17 December, JSPS Bangkok Office gave a program briefing at Thailand Institute of Scientific and Technological Research (TISTR). The coordination of this briefing was greatly supported by Dr. Yoshinori Miyazaki, inovation coordinator of National Institute of Advanced Industrial Science and Technology (AIST). AIST in Japan and TISTR has been collaborating mutually. Established in 1963 under the ministry of Science and Technology, TISTR has been focused on reseach and development of applied science that leads to commercialization and development of society. 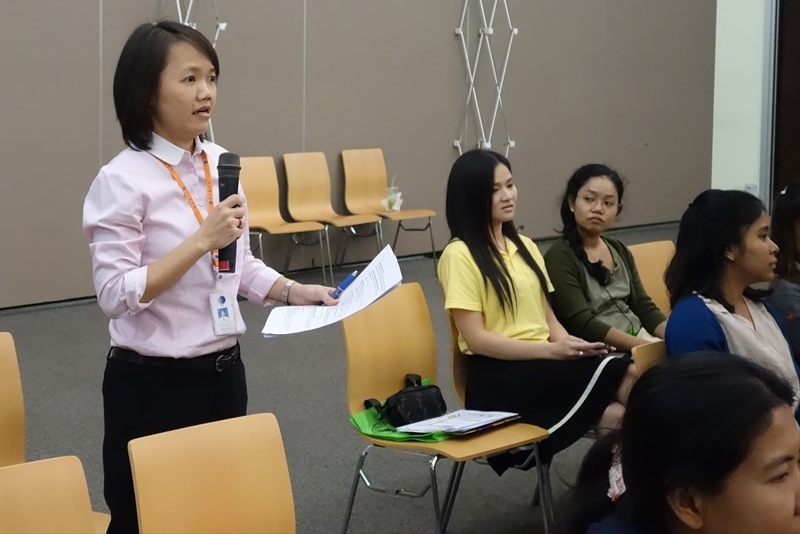 This being the first time for a JSPS program briefing to be held at TISTR, it drew an audience of more than 80 young researchers. Mr. Yongvut Saovapruk, Director of TISTR opened the meeting. Following a description of JSPS’s program menu by JSPS Bangkok Office staff members, Dr. Aparat Mahakhant, Research Expart of Bioscience Department of TISTR delivered a presentation on the theme “My Experiences on Japanese Fellowships & Collaborations including JSPS.” After obtained doctoral degree in Osaka University, she has joined variety of research projects in the field of bioscience supported by Japanese government including New Energy and Industrial Technology Development Organisation (NEDO) and Japanese International Cooperation Agency (JICA). 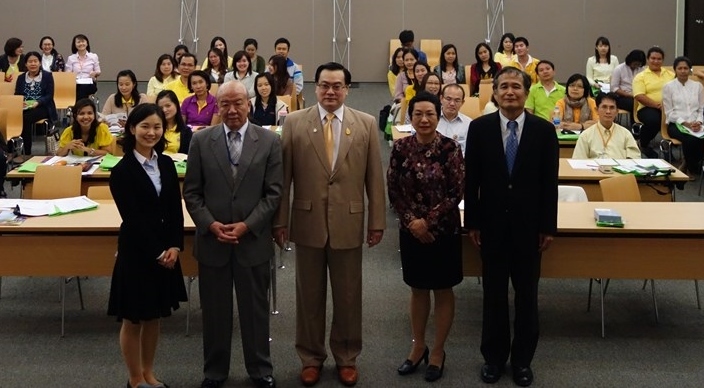 She was also a member of a research project lead by Osaka University under the support of JSPS Core University Program. 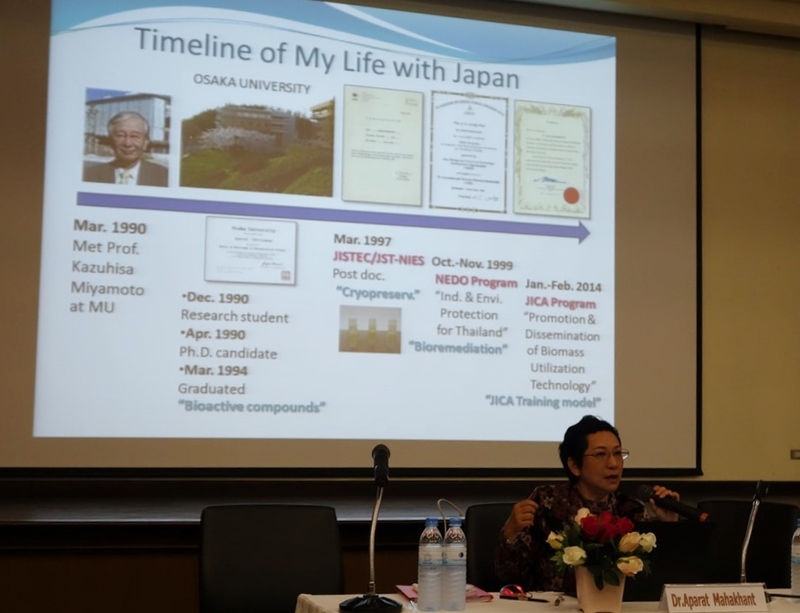 She mentioned that her long experience of collaboration with Japanese researchers made her achieve her prominent research career. She also said that one of the feature of Japanese research fund was that they also focused on networking foreign researchers that had received fellowships from Japanese government after the completion of the projects so that they could develop sustained relationship with Japanese researchers. In the last part of her speech, she adviced young researchers not to content with their current situation and powerfuly encouraged them to train yourself in Japan.